The Yakezie Network was created in December 2009 as a way to help new and old bloggers alike grow their platforms, connect with others, and become the best bloggers possible. Over the years, the Yakezie has become the largest, most collaborative personal finance network on the web. It takes eight months on average to get into the Network, as each Member must build relationships and stick to a minimum posting schedule of two to four times a week. Given the standards of the Network, the quality of our Members is second to none. We have a collective reach in the millions of pageviews a month, and have the ability to create a movement to bring awareness about your product or business in general. Creating a product is just the first step in sales. You can have the best new product, but if nobody knows about it, you will not get very far. This is where online marketing comes in. As the creator of my own product, I know what it’s like to put everything into something special, and then put even more effort into marketing to make sure the world knows. Many other Members of the Network have extensive marketing experience as well. Marketing is not just about placing advertisements on relevant sites to get your product known. Generating awareness is about getting some of the leading personal finance authorities to test, understand, and write about your product to create a genuine discussion. For three years, hundreds of clients have directly come to us, now we’re pleased to open up our services to all of you. Think of the Yakezie Network as an interactive PR company with capabilities to directly influence thousands of people. * Buzz Marketing. With over 100 Members strong, each one of us has our own platform of readers and social media followers who have followed us for years. As a client, you are able to tap into our Network of Networks, where we not only write about your product, but also Tweet, Google+, Like, and share your product to the web. We also welcome multi-media content such as video and podcasting. * Organic Recurring Traffic. Recurring, natural traffic is crucial for all businesses, especially as internet penetration and search engine usage continues to grow around the world. The key to good organic growth is having believers of your product sing your praises in a tasteful way all throughout the web. We are strong believers that great products with strong content should rise to the top of the charts. As personal finance bloggers, we are always looking for products and services that will improve the lives of our readers. We won’t work with everybody, only with clients who are most congruent in our beliefs. * Charitable / Social Initiatives. Our Network’s core belief is to help others and give back to the community. We want to work with organizations looking to champion a great cause. There are a tremendous amount of injustices in the world that need more awareness. For example, there are some 140,000 homeless veterans in America. Meanwhile, there are almost 1 billion hungry or malnourished people in the world, 200 million of which are children. We in the media have a responsibility to use our voices to help. It is our duty to speak for those who do not have the opportunity. Our ideal clients are those who have fantastic products that can improve the financial well-being of people everywhere. Clients should have a strong social mission in addition to business. When we see a company or organization offer more value than price, we know there could be a great fit because that is exactly how we operate in the Yakezie Network. * A banking organization with superior savings and CD rates in this low interest rate environment. * A social lending company who allows honest borrowers to access money where they otherwise couldn’t due to financial mishaps in order to keep their homes, further their education, or feed their families. * An online mortgage company who, because of low overhead, can provide some of the lowest mortgage rates in a reasonable time period. Furthermore, such online mortgage company can cut through the red tape and allow for quicker refinancing. * A movie producer who just spent $150 million on the next blockbuster about the atrocities of World War II who wants to make sure our youth never forgets our past. * A TV producer who is launching a new pilot on ABC who needs as much viral marketing as possible to get the show picked up for a full season. * A government who wants to actively promote healthier eating habits and exercise to ameliorate the burden on their healthcare system. * A charitable organization operating in the far reaches of the world who desperately needs to raise awareness and financial support for the genocide that is occurring every day. * A mother who is starting a small business looking to bring Eastern products to the West but is frustrated with trying to advertise on her own through Adwords and Facebook Likes. * A health food company who has not only created a tasty organic snack, but carries 50% less calories than its leading competitors. In a world full of systems and automation, the Yakezie Network provides a personal touch that makes negotiating, launching, and executing your campaign easy. * Responsiveness. We will respond to all inquiries with 36 hours or less. * Personal touch. We will make sure we understand your desires from the very beginning and make sure every campaign is handled properly from start to finish. * Reassurance. We will ensure payments are made only after an action has been placed. We will check with each participating blog that all actions are correct. * Relevance. We will ensure the right blogs match your product or cause to ensure maximum relevance. * Efficient. We pride ourselves on getting together a campaign proposal within five to seven days. If you want an efficient way to get exposure to your product or cause, simply fill out the simple form below and don’t forget to press the SUBMIT button. We will get back to you within 36 hours to let you know whether we can help. Feel free to also e-mail me at sam at yakezie dot com once complete. I love it Sam. It’s going to be BIG. Movie producer… Hmmm? Does the Doritos Crash The Super Bowl Video count? I just submitted my video for this years contest. Once approved I can start promoting. Just a thought. First the Super Bowl, then Madison Avenue for you Jai! Great Ideas – Can’t wait to see how this builds up and comes along! Great stuff, Sam! There is little denying that you’ve built something great in Yakezie, and you’re now able to leverage that in a way that will pay large dividends for all that’s involved (website owners, readers, and advertisers). Though I am not apart of the network Yakezie is something wonderful helpful and great. Everyone is always willing to help and you feel the sense of community. Here’s to bigger thing in the near future. Awesome to see this starting to move forward. As one of the earlier members of the Network, I can attest to the quality and commitment of the members, as well as our service orientation. Great article Sam. Very cool, indeed. I can not wait to see what exciting new chapters and possibilities await the Yakezie network. As a current Zeta Challenger, I truly appreciate the hard work and dedication of each of its members. I love this Sam! The Yakezie is such a positive influence in my life and blogging experience. You have so many creative ideas and I’ve really enjoyed being a part of the Network and watching it grow. I like your idea of having this centralized post that talks about all the pros and possibilities, and building a form right into it is a genius idea. Nice! Thanks Sydney. Don’t know why I didn’t just do it earlier. I guess part of it is because I was working. Now that I have so much free time, might as well be proactive for the group. That’s awesome! What can I do to help? I’ll try to get the words out. I’ll send this to all the advertising reps I come across. Hi Joe – Just continue doing a great job with your retirement blog! It definitely helps if you can refer potential partners to this post, as it answers a lot of questions and provides a method of exchange. I’ve also added a question in the application on referrals to give credit where credit is due. Thanks! I love the idea! I am confident it will succeed. this is a very good idea! have you built a media kit? 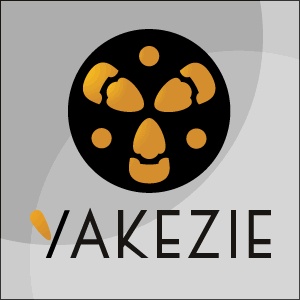 I think the Yakezie is now strong enough to approach corporation and marketing agencies to offer its exposure. What do you think? Hi Sam, it’s brilliant. I particularly like giving away some benefit to charities. It shows the community spirit and support for important causes, which is why I joined. Glad to see this come together! We are an immovable force! I really love this idea for marketing a new business and helping others succeed. I also hope to actually use it with my new online business that I am currently in the works of putting together. A very difficult part of launching a new venture online is the marketing aspect until break free of the search engine sandbox. Very interesting idea! I like the socially minded aspect of your clientele. We all need to be giving back in addition to growing our businesses. Sam, this is a wonderful idea. I am looking forward to the success of this business. Good luck! What a great idea! I hope this is working well so far. I can tell it’s going to be big! Great idea, Sam! Let’s collectively make Yakezie a big success in 2013!! Very interesting! This reminds me of the test for publishing a book, publishers want you to have a built following before they would consider publishing your book. This is a formalization of building a following. Awesome, Sam. Really enjoy all of the great posts at Yakezie, and hope to succeed in the challenge and become a member. I’m sure prospective advertisers already see the far reaching benefits they’d get from working w/ yakezie. This is such a great idea. Leveraging the collective reach of the entire Yakezie Network is brilliant. I don’t know if something like this could work with other blog networks, but given how well people here seem to collaborate, this could be the beginning of something huge.